We have been busy preparing for our busiest time of the year. New patterns have arrived, new fabrics, new tea towels and new classes on the calendar. I am excited that we are getting a new group together for our From Marti and Me club and that most of the last group is "Moving on" with a new section of fun patterns and projects! Our latest Beginner Group have been doing such great work with their quilts and I am excited to see how each one will be so different, even with all of them using the same pattern. Come by and see us during the shop hop, starting this Friday the 3rd. 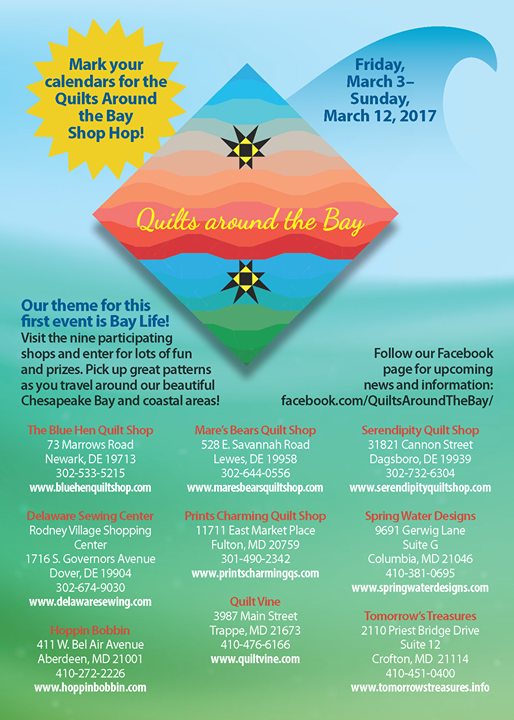 Don't forget if you can't make it in, we will be vending at the Southern Comforters Guild Show and at the Continental during Lancaster Quilt week this month. While we have had quite the week, with the car "being parked" inside our building early Monday morning, we have made it through and will be OPEN today. What a great team we have had to pull it all together! 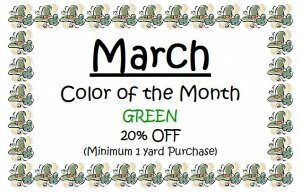 While the next month or so will be interesting with getting all of the repairs done, we are able to operate and the shop is safe for customers. I have to say thank you to our fabulous customers for the phone calls, emails and FB posts that you have sent. I am always overwhelmed at your thoughtfulness and kindness. Our Quilting Family is wide spread and we have received support from all corners of the country. I apologize for simply not having the time to respond to each one of you personally. The numbers are just overwhelming and honestly, we've all been a little swamped this week with the clean up. As always, thanks for your support! Starting in April. Click the link Above for complete dates. So you want to make a quilt, but can't tell a rotary cutter from a seam ripper? 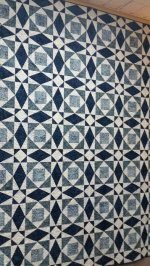 Let us help guide you through Alex Anderson's Beginning Quilting. Learn every step of the way as you learn to plan, cut, piece, quilt, and bind your quilt. There are eight easy, beautiful projects in the class book that will get you started. 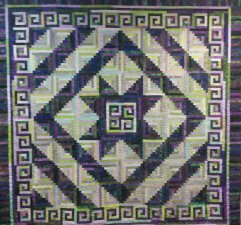 Class will make the Sampler Quilt that includes flying geese, nine patch, nine patch variation, fence rail and log cabin blocks. Day (2:00-5:00) and Evening (5:00-8:00) Classes available. 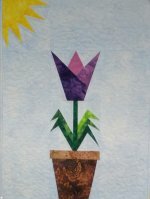 Hey Paper piecers or want to be paper piecers, here’s a fun fast spring project with 4 paper piecing blocks and a couple filler blocks. We should be able to get through the entire project in a day! When it’s finished you’ll have a bright wall hanging to usher in the warmer days of spring or to help ward off those dreary raining days that we often have. 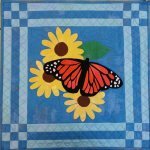 Come join the class Beginners and seasoned quilters are all welcome!